This Updated & Expanded Edition will help anyone with a dog that has aggressive tendencies, whether it is a young dog that shows aggression when you remove the food bowl, a dog-aggressive dog that you are afraid to walk in the park, or a dog that is aggressive towards family and friends. The original book was printed in 2005 and I've certainly learned new strategies and protocols since then! 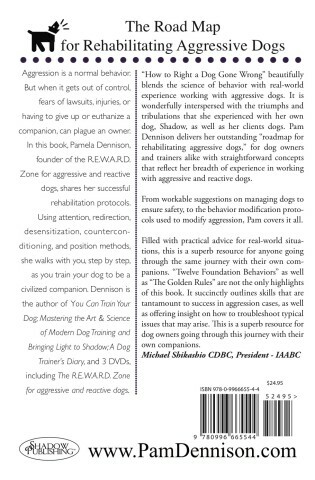 Readers will gain an understanding of the causes of aggression and the various ways of dealing with it – including a step by step program of rehabilitation that has been used successfully on hundreds of dogs, large and small, in all breeds. 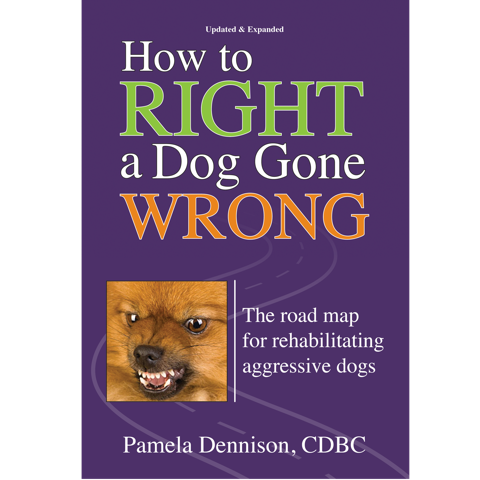 The Updated & Expanded Edition of “How to Right A Dog Gone Wrong; the road map for rehabilitating aggressive dogs,” by Pam Dennison CDBC! Pam on DogCast radio, talking about aggression and the book! Click here to listen! The original edition was Nominated by the DWAA for the HSUS Compassionate Care Award for the 2005 writing contest! “How to Right a Dog Gone Wrong” beautifully blends the science of behavior with real-world experience working with aggressive dogs. It is wonderfully interspersed with the triumphs and tribulations that she experienced with her own dog, Shadow, as well as her clients dogs. 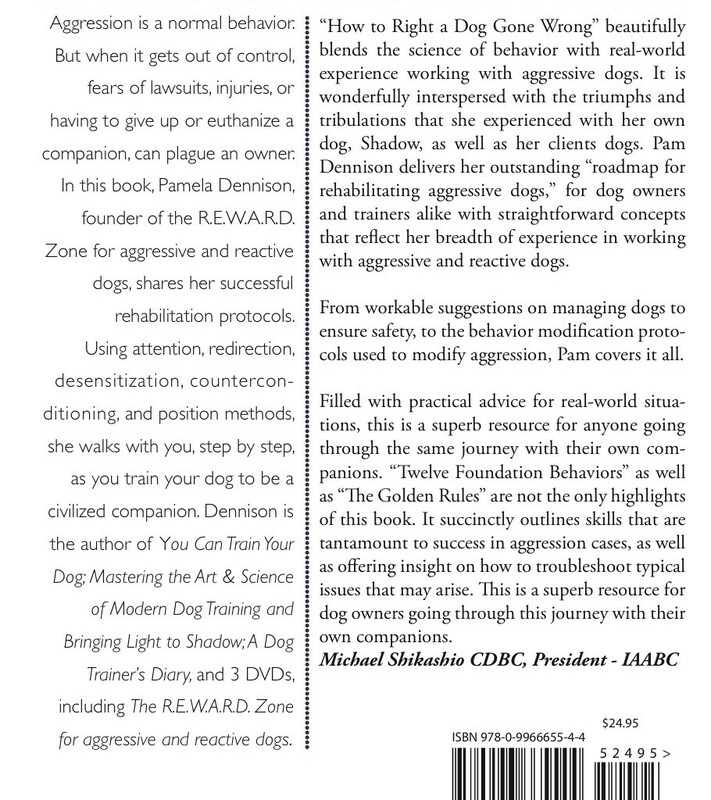 Pam Dennison delivers her outstanding “roadmap for rehabilitating aggressive dogs,” for dog owners and trainers alike with straightforward concepts that reflect her breadth of experience in working with aggressive and reactive dogs. 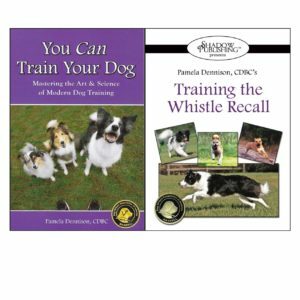 From workable suggestions on managing dogs to ensure safety, to the behavior modification protocols used to modify aggression, Pam covers it all. 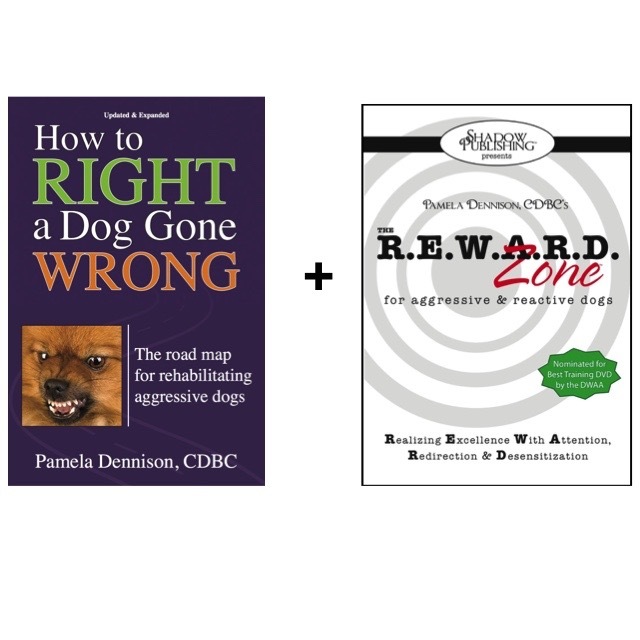 Let’s hope Pam Dennison’s “How to Right a Dog Gone Wrong” does not become a literary secret because it contains all the information, tools and resources to help pet owners and professionals work through the process of helping deal with challenging dog aggression cases. “How to Right a Dog Gone Wrong” does an exceptional job of explaining to pet owners and professionals how pets learn and the 12 foundation behaviors needed to help prepare you for, and facilitate, the necessary counter conditioning and desensitization programs. All of these are clearly and expertly described and explained. Spoiler Alert: Pay particular attention to the first five foundation behaviors and the nine well thought out “Golden Rules.” These will reinforce your learning and help you develop your own program to help you “Right a Dog Gone Wrong.” A highly recommended read. Dip, ABT. Diploma. Animal Behavior Technology. Dip, CBST. Diploma Canine Behavior Science and Technology. Certified People Trainer. ITB. TS1, TS2 & TS3. Certified Facilitator – Acuity Institute. Author – People Training Skills for Pet Professionals, Founder & President of The Pet Professional Guild, DogSmith Dog Training and Pet Care Licensing and DogNostics E-Learning. President Doggone Safe. “How to Right a Dog Gone Wrong” is the most essential tool in my weekly Reactive Dog Classes. I believe that this book is a must read and I implement the methods Pamela Dennison so thoughtfully and clearly outlines in her latest book. It updates and expands my knowledge base as a Professional Certified Positive Reinforcement Trainer (CPDT-KA). For those of us constantly challenged with helping the reactive and aggressive dog(s) that come into our training and our lives, this book carefully guides me through the training process. By clearly giving us the goals and how to plan for implementation of those goals, it all goes smoothly! 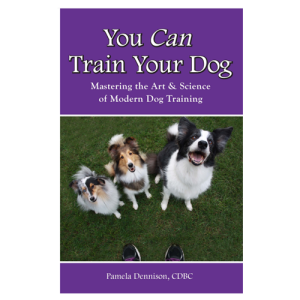 This book is a must read for not only trainers, but for handlers and owners who want to build the confidence and the connection to enable our dogs to live a full and stress-free life in our homes and in our towns. Thank you Pamela for teaching me how to teach my classes with grace and with confidence and bringing so much relief to dogs everywhere. I am a Professional Pet Sitter and Pam’s book, “How to Right a Dog Gone Wrong” has helped me tremendously to understand and deal with the problem dogs I so often see. I recommend this book to all my clients with reactive and aggressive dogs.